As I started to type something the song Wake me up by Wham popped into my head, I think the bright fun colours prompted some dance music to flash through my mind. Yup.. just a little bit of crazy;). I am digging right into these fun bright papers from Echo Park. 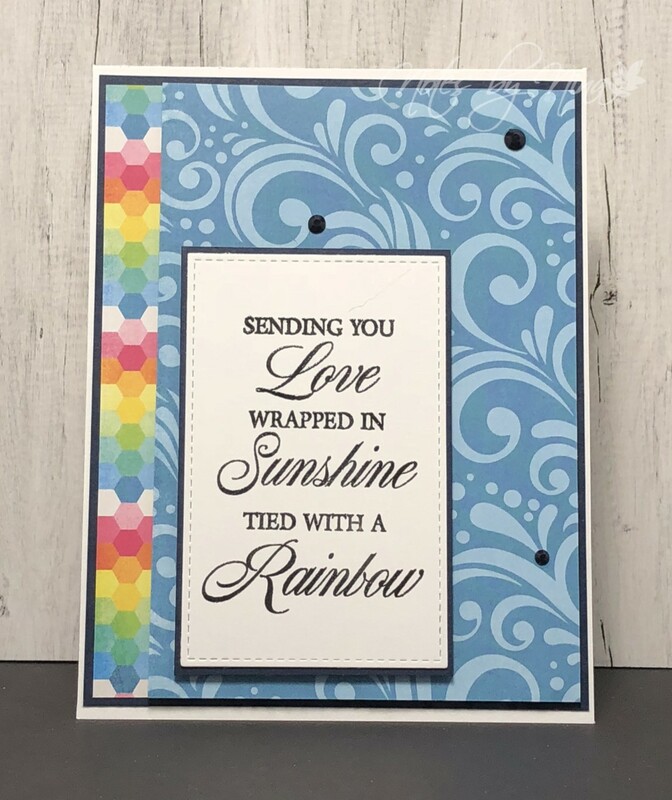 I added a layer of Navy cardstock, then lined up the rainbow stip along the edge and overplayed the flourish pattern with a layer of foam. I heat embossed the sentiment and popped it up with foam tape. I finished with some black gems. Supplies: White and black cardstock, Designer Paper - Echo Park, Penny Black - Happy Thoughts, gems. Yup, I can see you doing a chicken dance. You remind me of of a leggy colt snorting around in the sunshine when you get your happy pants on. I’ve seen it in real life! Its easy to be creative when this mood strikes! 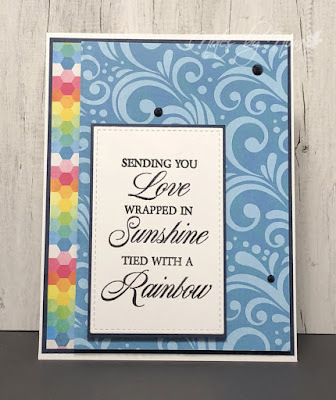 Very cool card, just the right mix of bold and subtle - and this sentiment, perfect!